Sutter Instruments has manufactured a number of filter changers that are custom designed for wavelength selection over a wide spectral range to any given nanometer value. The Lambda VF-5™, Lambda VF-1™, Lambda VF-10 and Lambda VF-1 Edge™ employ the innovative VersaChrome® and VersaChrome Edge™ thin-film filter technology from Semrock® to provide excellent bandpass characteristics such as out of band blocking, steep edges, and high transmission (close to 100%). The center wavelength selected on command is produced by these tunable filter systems. These filters are equally suitable for emission and excitation paths as they pass an image. Adjusting the angle of incidence from 0 to 60 degrees enables a particular wavelength to be obtained within the wide spectral range of each filter. This tuning results in little or no change in spectral performance of the filter regardless of the state of polarization of the light passing through the filter. The current VersaChrome series comprises of 15 filters covering 338 to 900 nm. Users can just select the desired center-wavelength on the controller in order to choose any combination of filters for the Lambda VF-5 (which holds up to 5 filters), any one of 10 filters in the VF-10 that uses smaller filters ideal for laser applications, or any single filter in the series for the Lambda VF-1. The most recent development from Semrock is the VersaChrome Edge filter technology that enables the selection of the center wavelength and the band-width. Separate tunable high-pass and low-pass filters in series are used by this new filter system to define the bandpass. An additional filter is used in series with these filters in order to provide the best blocking outside the pass-band. The controller for these new tunable filter changers is a special version of Sutter Instrument’s Lambda 10-B. Users can select the desired center wavelength in 1 nm increments from the keypad, or via the serial or USB ports. This provides control of the Lambda VF instruments with minimal changes made to the existing software supporting the popular Lambda 10-B controller. It is also possible to store a sequence of wavelengths in the controller. The TTL input can then be used to trigger selection of the wavelengths in the sequence step-to-step. The firmware comprises of filter-specific data for each of the VersaChrome filters in the series. In order to take advantage of the new VersaChrome Edge filters, Sutter has introduced the Lambda VF-1 Edge system that allows users to select both the long and short end of the bandpass in nanometer steps. This new device incorporates two of Sutter’s VF-1 filter tilting modules and a Sutter Lambda 10-B controller to give direct control over the bandpass via the unit’s keypad or through external control from a computer or other device. Individual VF-1 modules can also be used with the VersaChrome Edge filters to provide tunable short-pass or high-pass filtering. The filter sets available for the VF-1 Edge cover the wavelengths from <400 nm to more than 1100 nm. Within this range users can select the half-power point for the low-pass and high-pass filters to any value in steps of 1 nm. Transmission will be blocked, acting as a shutter, if the low pass wavelength is set higher than the high pass wavelength. There are more than 5,000 combinations of filter settings available for this filter set. Together with the ability to select any wavelength in the range covered by any combination of 5 VersaChrome filters also has a patented white-light output mode that allows users to access the full spectral output of the excitation light source when it is required. White-light output is achieved by capturing the rejected light from the VersaChrome filter at a 45 degree angle and then combining the two beams on the output side of the VF-5. This configuration can be obtained with the help of an additional custom light guide and SmartShutter® system. Sutter recommends installation of the 5 filters with the longer center-wavelengths covering from 430 nm to 800 nm when using the Lambda VF-5 for emission applications. Installation of the 5 filters with the shortest wavelengths covering 338 to 620 nm is recommended for excitation applications. 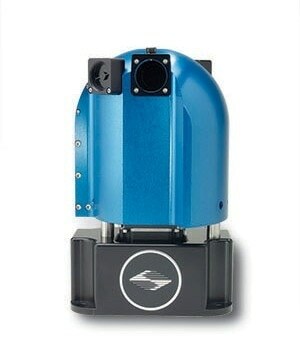 Any combination of 5 filters could be installed in the Lambda VF-5 for special applications. The compact Lambda VF-1 accepts any single filter in the series. It is also possible to change the single VersaChrome filter installed in the Lambda VF-1. The Lambda VF-1 accepts any single filter in the series that can be exchanged with other filters when required. This model offers a more compact and affordable system and faster switching times. The controller is capable of controlling a separate filter wheel or SmartShutter when used with the Lambda VF-1.